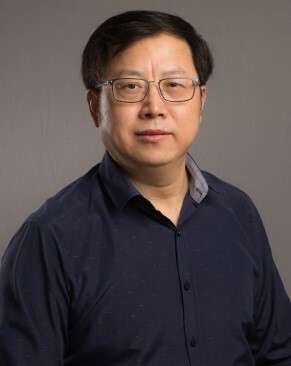 Liming Chen is Professor of Computer Science, Head of the Context, Intelligence and Interaction Research Group and its associated Smart Lab. in the School of Computer Science and Informatics, De Montfort University, UK. He obtained his B.Eng. and M.Eng. in Computer Engineering from Beijing Institute of Technology, Beijing, China, and Ph.D in Artificial Intelligence from De Montfort University. His current research interests include activity modelling and recognition, computational behaviour analysis, personalisation and adaptation of human-machine systems, decision support, smart environments and their application in smart homes and ambient assisted living. He is currently the coordinator of the EU Horizon2020 ACROSSING project “Advanced Technologies and Platform for Smarter Assisted Living” with €3.88M funding and 10 partners across Europe, and has serves as the principal investigator for the EU FP7 MICHELANGELO project “Patient-centric model for remote management, treatment and rehabilitation of autistic children”, EU AAL PIA project “Personal Instrumental ADL Assistant”, EU AAL MobileSage project “Situated Guidance for the Mobile Elderly”, and many other projects funded by industry and third countries. Liming has over 170 peer-reviewed publications in internationally recognised high-profile journals and conferences. He is the general chair or program chair for IEEE UIC2017, IEEE HealthCom2017, SAI Computing 2017, IEEE UIC2016, IntelliSys2016, MoMM2015/2014/2013, SAI2015/2013, IWAAL2014, UCAMI2013, and an organising chair of many workshops such as Romart-City2016 and SAGAware2015/2012, associate editor of IEEE THMS, assistant EIC for IJPCC and guest editors for IEEE THMS, PMC and IJDSN. Liming is a member of IEEE, IEEE SMC and the ETTC Task Force on Smart World, and an expert of the EU H2020 evaluation panel and UK EPSRC Peer Review College. He has delivered over 20 keynote and seminar talks in various forums, conferences, industry and academic events. More details can be found in his homepage http://www.tech.dmu.ac.uk/~limingchen/. There is a growing ageing population, and along which there is an increasing prevalence of ageing-related physical, sensory and cognitive declines and chronic diseases. Yet available healthcare resources are dwindling, and the gap between the need and demand is becoming wider in the time to come, not only in the developed countries but worldwide. Technology and innovation has offered promising solutions for addressing this global ageing problem. Nevertheless, easy-to-use smart healthcare systems and services with large-scale uptake have not yet been seen. In this talk the speaker will discuss the impact of the global ageing problem on the quality of life, society and economy. He will review the state of the art of the technology-driven approach to smart healthcare, examine existing research efforts, major initiatives and high-profile projects from which gaps and barriers will be highlighted. The speaker will then present the concept of an integrated healthcare ecosystem which offers a vision to move beyond technologies towards future solutions and their delivery. He will describe a framework for the proposed ecosystem and the underpinning enabling technologies with special emphases being placed on the methods and mechanisms of technology integration, and the processes of the interactions among multi-disciplines, sectors and stakeholders. The speaker will speculate research challenges and strategies, and further share his insights into the future research and application.